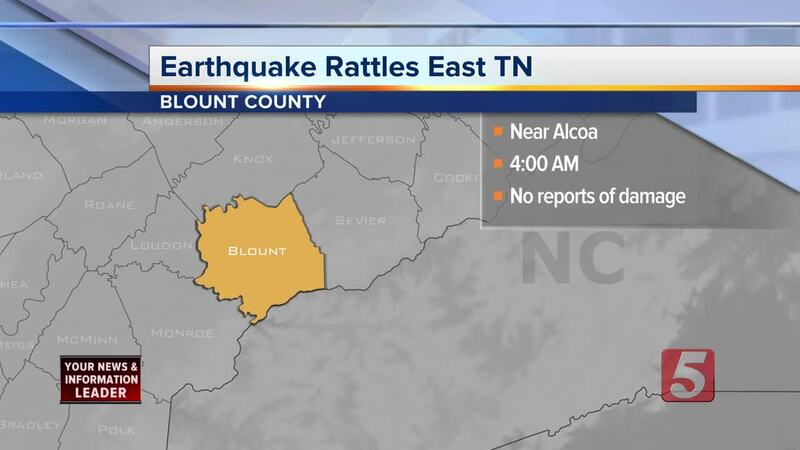 The U.S. Geological Survey has recorded a 3.0 magnitude earthquake that hit eastern Tennessee early Monday morning. The USGS said the earthquake struck at about 4:00a.m. EST near the town of Alcoa. That town is southwest of Knoxville. At this point, it's unclear whether anyone was injured or if there is any damage. This story will be updated as new information becomes available.